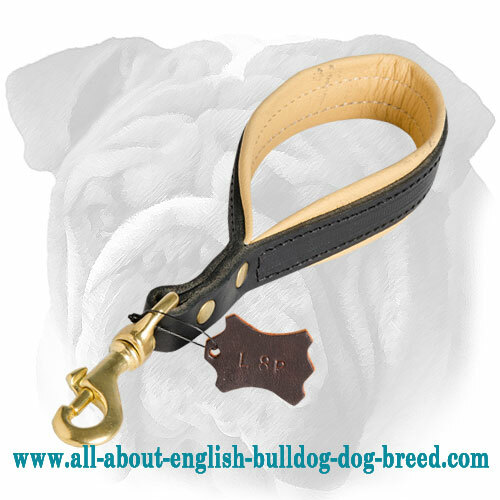 If you want to have utmost control over your English Bulldog this leather short leash is definitely what you need. 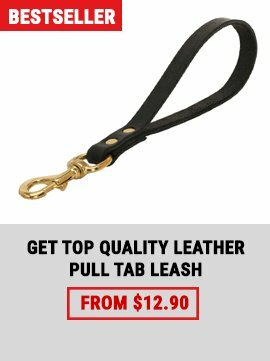 Having this little leash on your pet is extremely convenient for keeping him close without having to clip a leash off and on all the time. 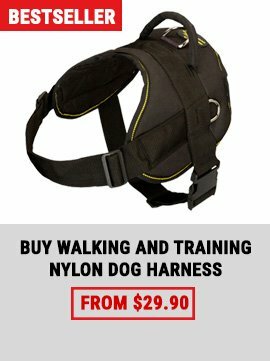 Note that this gear is available with extra Nappa padding on the handle. 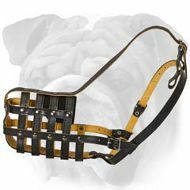 If you want to provide yourself with comfort while walks this option is desirable to be chosen. 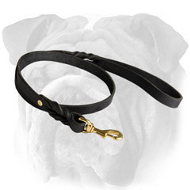 This short lead is made of the highest quality genuine leather. 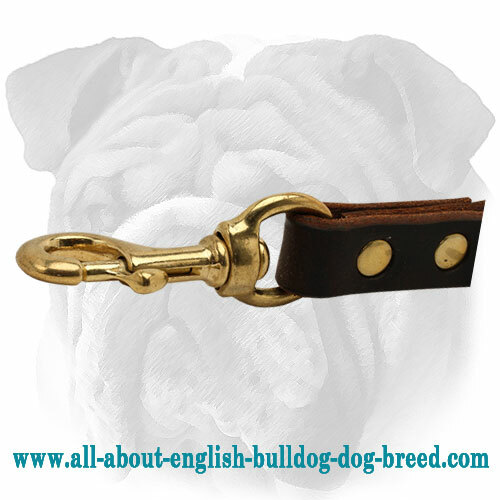 This material is super strong and won’t let you down by tearing or breaking in the very moment you need to intensify control over your English Bulldog. 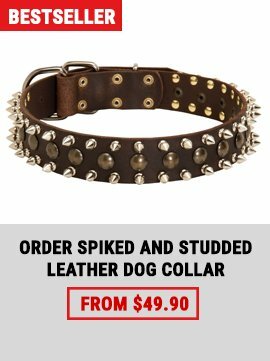 Due to this you may always rely on this tool and be sure that your beloved pet is in safety. The implement consists of a strong handle (a loop) and reliable snap hook. 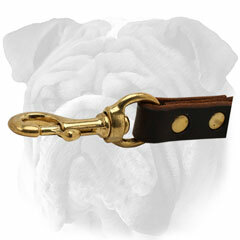 Brass hook allows to attach the leash to a collar or harness. 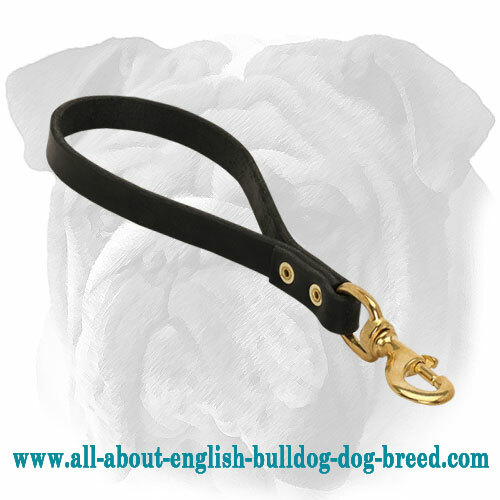 It is extra reliable and will withstand pulling force of your English Bulldog. Close control is achieved thanks to the short loop. You will keep your pet close to you while being in public places so that he won’t do any harm to people around him and you will be able to reduce his contacting harmful or suspicious objects.